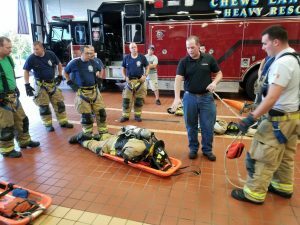 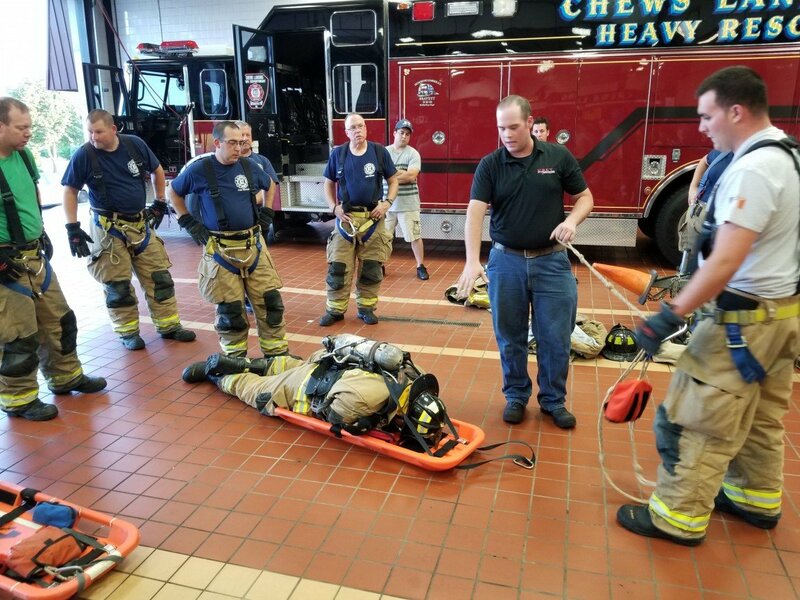 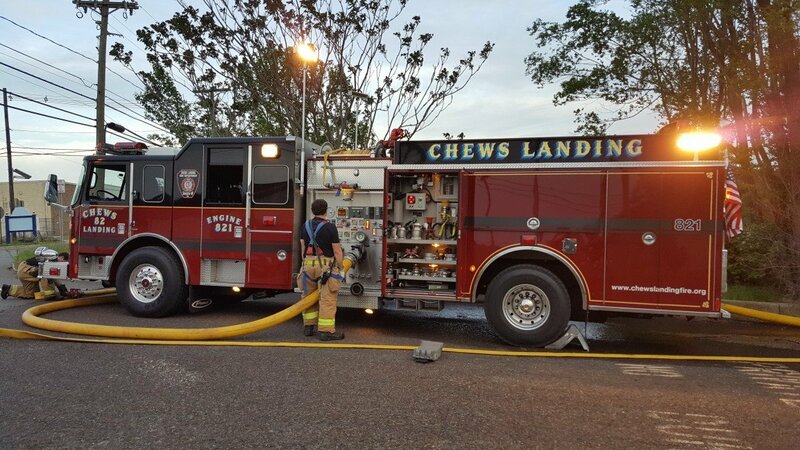 The Chews Landing Fire Department recently purchased and placed in service, a new item to be used by the Rapid Intervention Crew, which will expedite the rescue and removal, of a downed firefighter at the scene of an incident. 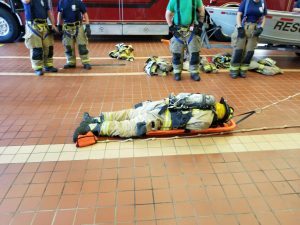 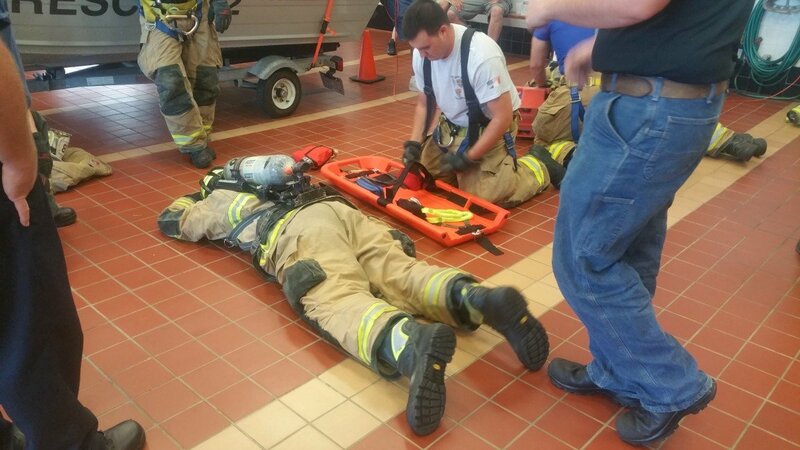 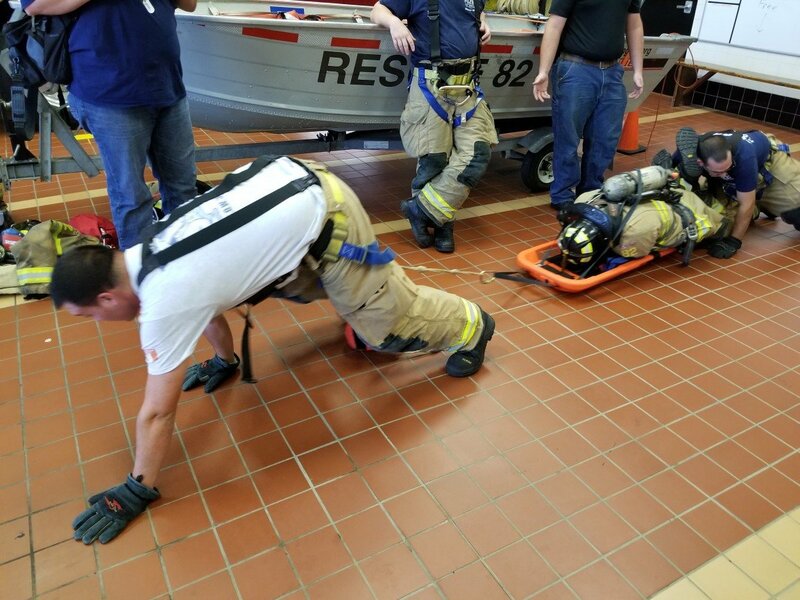 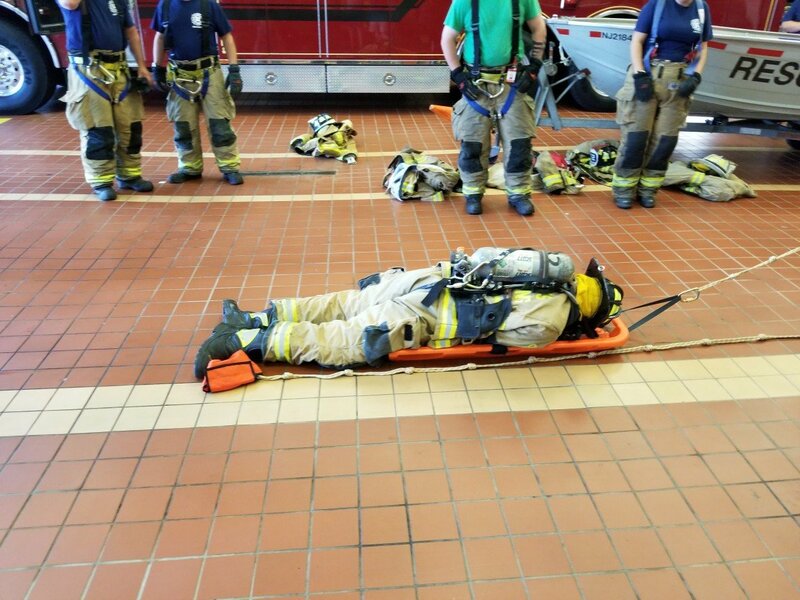 The “FAST” Board, which is smaller than our current stokes basket, allows the crew to quickly secure the downed firefighter, move the firefighter up or down stairs, around tight corners, as well as, down the Main section of an extended Ladder Company, if necessary. 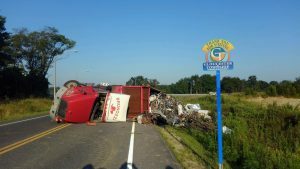 On Tuesday morning, August 1 at 05:00 hrs, companies were dispatched to Route 42 NB in the area of Exit 7B for a reported MVA. 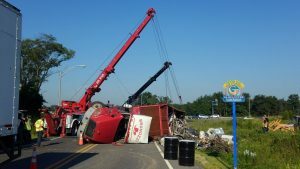 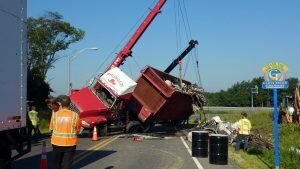 Arriving companies found an overturned tractor trailer, with its contents dumped onto the side of the road. 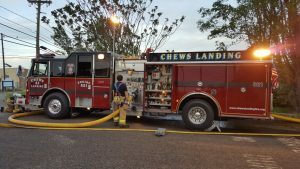 Additionally, a saddle tank was also breached, causing a leak to run onto the highway. 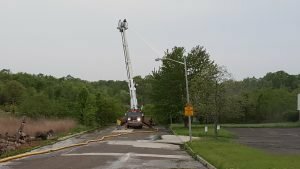 HazMat 8 was requested to secure the spill, along with a Special Call for HazMat 13 (Cherry Hill Fire Department), who drilled the affected tank and removed the remaining product. 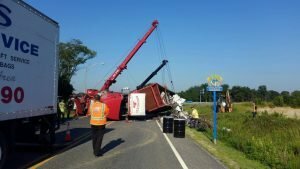 All companies went available by 10:00 hrs. On May 24, 2017, members of the Chews Landing Fire Department attended the ribbon cutting for the newly renovated Gloucester Township EMS building. 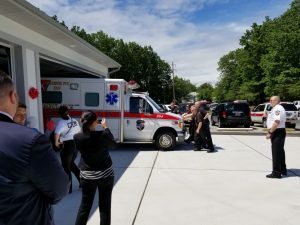 Congratulations on the new building and thank you for your service to the residents of Gloucester Township. 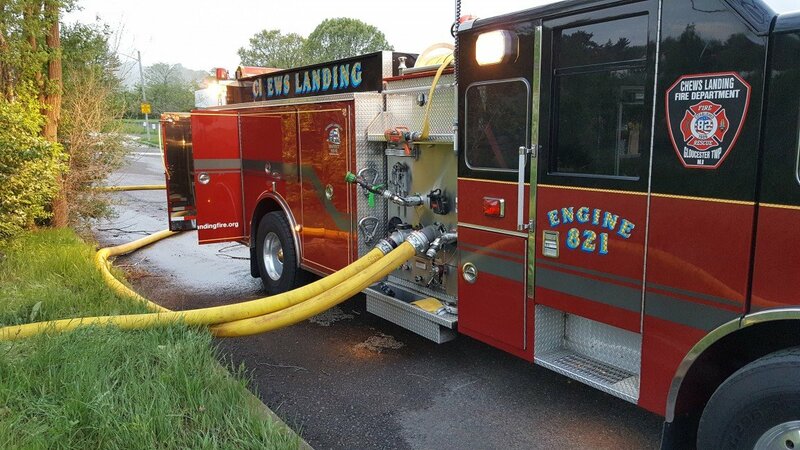 On Monday evening, current and in training drivers/pump operators, took the opportunity to get in some valuable pump time. Evolution’s included supply the Ladder Company with a single supply line and learning to adjust pressures to maximize water flow to the nozzle. 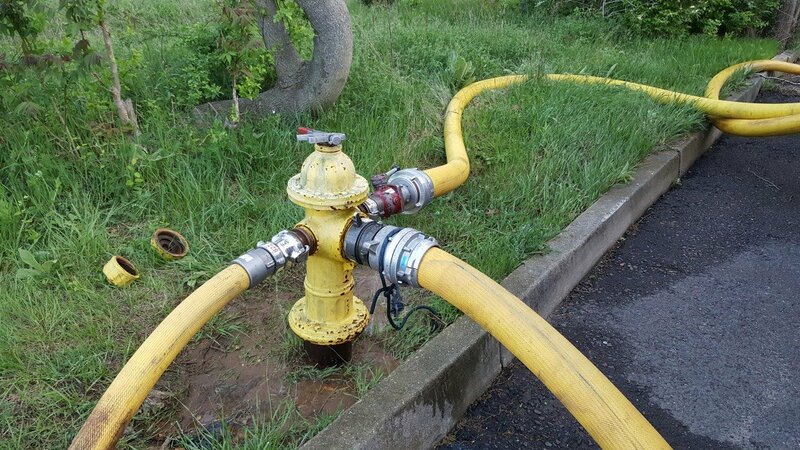 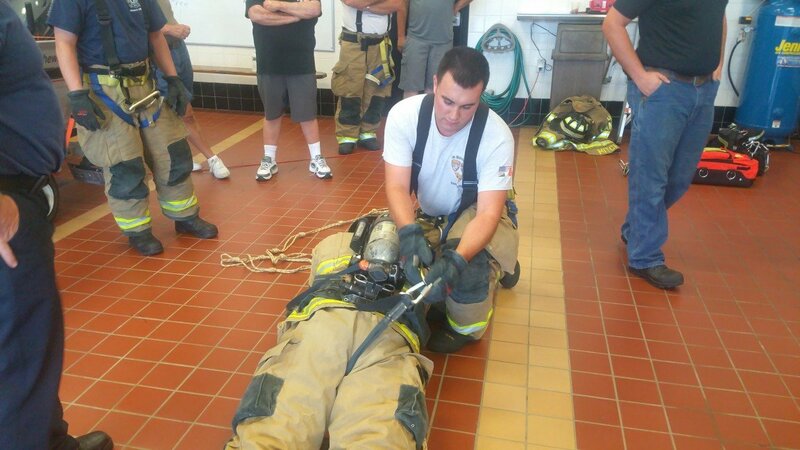 In addition, drivers practiced various ways to maximize the water supply to the Engine, from a single supply line (5″ Line) to multiple lines.